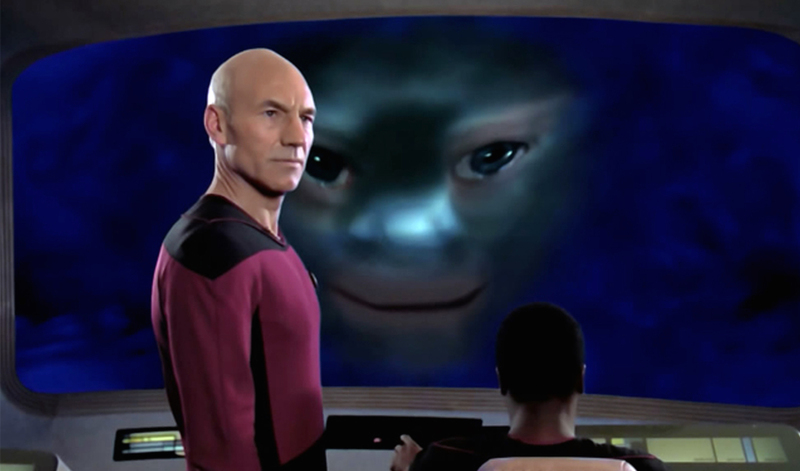 When an alien traps the Enterprise and threatens to kill half the crew purely out of curiosity, Captain Picard is faced with a grim decision. Rob and Grant have to watch them come to terms with that grim decision in questionable ways. Episode synopsis: 28th Nov 1988. Posted in Season 2, TNGTagged Dimensions, God, Omnipotent, Picard, Troi, VoidBookmark the permalink. Good episode, thankfully the audio issues appear to be fixed (again). P.S: 0.999 IS the same as 1, at least according to mathematicians, not sure I understand why you’re saying otherwise?